Tonight we had a Pre-Super Bowl meal. 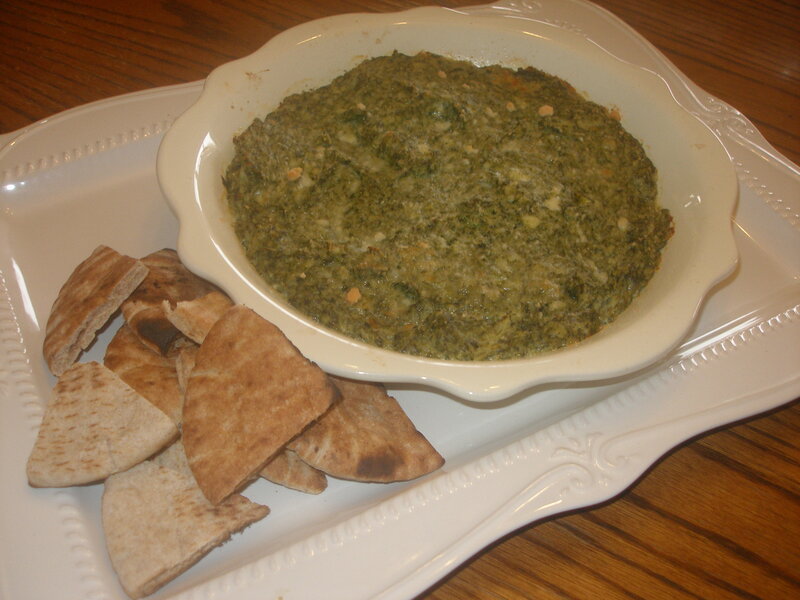 I tried out a new recipe I found in Winn Dixie’s Organic booklet- Spinach and Artickoke Dip and served it with grilled pita. Even my kids ate this one up! 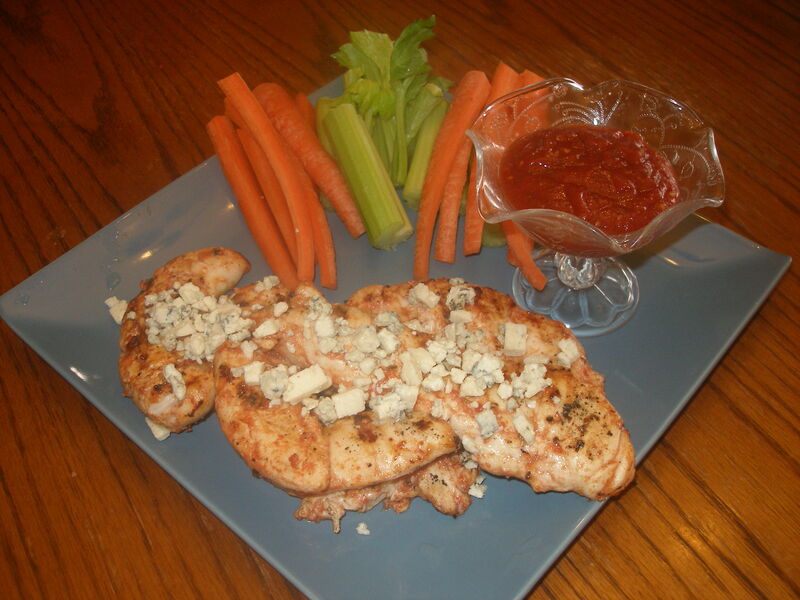 I also decided to ditch the wings and go with a healthier and lighter option- grilled buffalo chicken strips with bleu cheese crumbles. They were moist and the bleu cheese melted just enough so it was creamy and spreadable. I hope you give these recipes a try and enjoy them as much as we did! First, brine the chicken. Put honey and salt in a large bowl. Add a little water and stir. Next, place the tenderloins in the bowl and continue filling with water until chicken is just covered. Let stand for at least an hour and up to several hours. This helps keep the meat moist while cooking. Place buffalo sauce in a large bowl. Remove chicken from brine and place in the bowl of sauce. Stir to coat each strip. Place tenderloins carefully on grill over medium heat. Grill for about 4-5 minutes per side or until no longer pink in the middle. Place on serving tray and top with crumbled bleu cheese. Serve with celery and carrots of course! A Bob Harper Workout + Shape Magazine Deal – $2.99! !